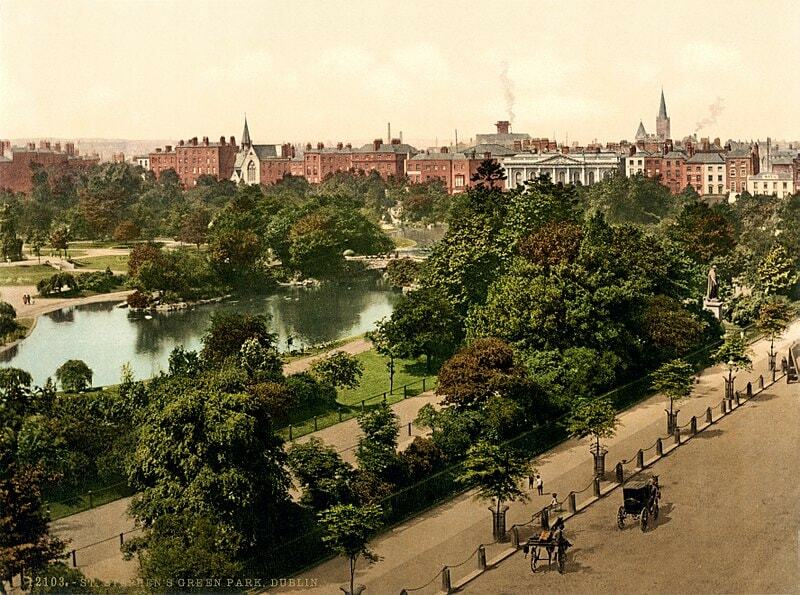 Then and Now: Can You Recognise Dublin from These Old Pictures? 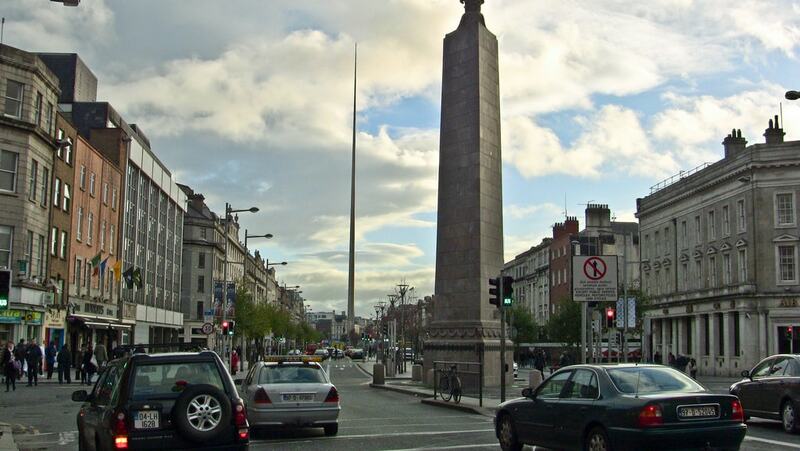 The broad street at the heart of Dublin’s north side has had a somewhat spicy history. 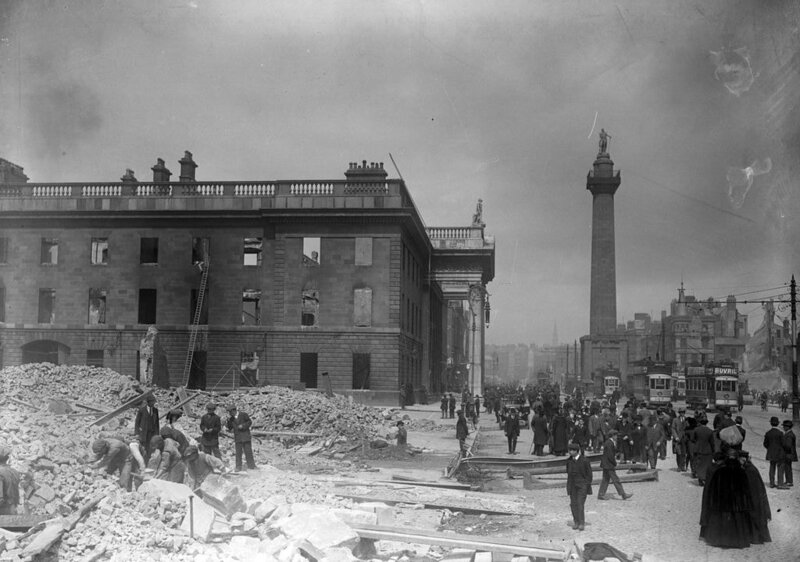 The earlier picture here depicts it while still named Sackville Street, in the aftermath of the Easter Rising, a failed (at least in the short-term) independence rebellion in 1916. Nelson’s Pillar, to the right, was later blown up in protest of Lord Nelson’s role in British colonialism. The soaring, needle-like ‘Spire’ (see the second image) now stands in its place. 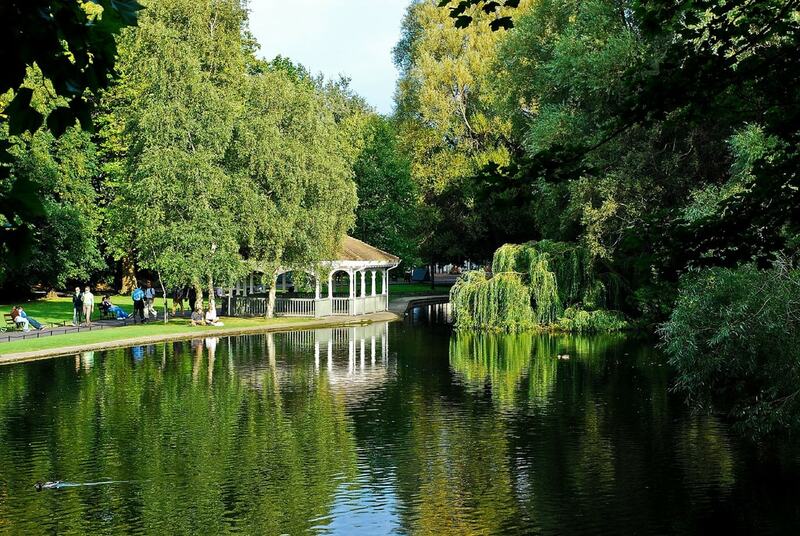 A chunky city-centre park, St Stephen’s Green is Dublin’s lungs, a popular summer chillout spot and winter strolling location that was, in a sense, bequeathed to the people of the city by the Guinness family. They campaigned to have the private residents’ gardens opened to the public, and assisted with the modern day design. The park went on to be one of the main sites of the failed, but influential, Irish revolution attempt in 1916. Widely regarded as Ireland’s finest educational institution, central Trinity College is an oasis in the heart of the city, and a revered spot for many locals. It dates back to 1592 and was originally modelled on the systems of Oxford and Cambridge Universities in the UK. Trinity was intended to form several colleges, but only ever formed one. Its old library, which looks like something akin to Hogwarts, is now among the country’s most popular tourist draws. Here’s one from the annals of history. Dublin was originally a Viking settlement, founded on the banks of the (then much wider) River Liffey back in the 9th and 10th centuries. You can explore a very different feeling Dublin at Dublinia, which traces the Viking roots, and some of the marks of the Viking presence can still be found around the city.